Some people are picky about what they eat. This may be because they just do not prefer the food that served to them. Other people also do not have a choice because they might be allergic to some food. Although they would really want to eat them, they just can’t. 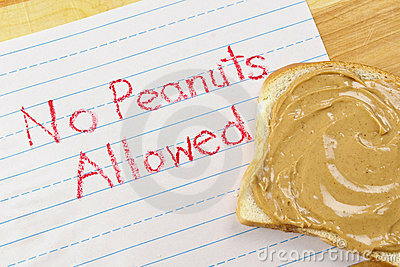 A food allergy is a common condition that we have. Although not everyone has it, this condition still exists. If you are one of those who do not have any food allergy, then consider yourself very lucky because you can eat whatever you want to eat. For those of you who are still confused if they have allergies or not, here are some tests you could do just to be sure. There are some symptoms that you could observe to tell whether you are allergic to a certain food substance or not. You should be able to observe yourself of your children properly so that you can prevent consuming these foods. Most people feel a tingling sensation in the mouth area after eating the food that they are allergic with. This may be readily felt or could take a couple of minutes or hours for it to be felt. Another symptom of having a food allergy is having hives or rashes. These could usually be seen in the back or in the extremities but it could also be located in other places. Other people feel dizziness whenever they eat the food they are allergic to. This is one of the dangerous side effects of eating foods you are allergic to. Some people also feel that their tongue is swelling and they are starting to have difficulty of breathing. This is what you call anaphylactic shock. This is very dangerous and it could even lead to death. If this case happens, you should rush the patient to the nearest hospital to obtain some first aid against food allergies. The first test you could do is the skin prick test. This test involves a sharp lancet and the food that you suspect you are allergic to. People who are afraid of getting pricked should not do this test because it involves pricking your skin with the sharp lancet that has been contaminated with the food you are allergic to. This test could be done in your arm. A swelling or reddening of the skin that was pricked will indicate that you have an allergic reaction to the food substance that was tested. A blood test could also be done to check if you are allergic to the food substance. What they will do is to get a blood sample from you. They will check if you have anti-bodies against the specific food substance that you are allergic to. This test is more reliable than a skin test because there are times when the skin test shows a positive reaction and when the patients eat the food, they do not feel any reaction to it. Severe allergies to food may also be deadly so it is advised to always be careful with what you eat. Doctors have created a test called the double blind food challenge. With this test the patient is asked to swallow a number of capsules. Each capsule contains different foods that you may or may not be allergic to. The doctor then waits for any reaction from your body after swallowing the capsule. The test is completed after all the capsules are swallowed. This test is time consuming for both the patient and the doctor that is why it is not usually done. In fact it is also quite expensive. If you have the extra money and is willing to spend time testing yourself, you could do this test to prove if you have or don’t have an allergy to the specific kind of food. Allergy occurs when the body reacts to the different chemicals found in different foods. The allergic reactions may vary from producing red rashes to severe anaphylactic shocks. The degree of the reaction depends on the person. People who have allergies should always be careful about what they eat because it might be deadly to them. The different reactions due to the allergens are produced by the body as a reaction and as a warning that it does not want them. Although people who have food allergies have no choice but to refrain from eating them, many people would still choose to eat the food and become a little itchy just to satisfy their taste buds. Here are some common food allergens. Cedric is a writer and a researcher who shows his passion in creating articles that are in line with health; among his current topics are the different natural remedies for constipation, diarrhea after eating, acupuncture for weight loss, and how to get pregnant. He hopes to help people by giving them enough information about their health situation.